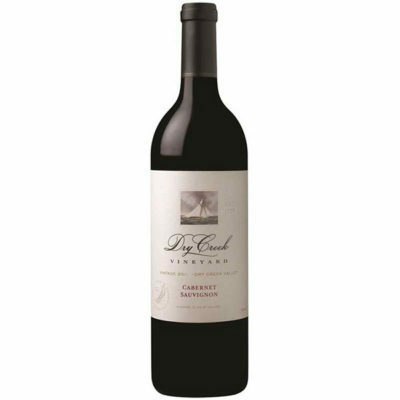 Dry Creek Vineyard Cabernet Sauvignon displays elegant aromas of raspberry, sage and dried flowers. On the palate, the flavors intermingle with black cherry and chocolate creating a mouthful of silky, well-integrated tannins. With some airing, the wine fleshes out even more providing dimension, depth and length. The finish lingers on for more than a minute with fine tannins that are very elegant and structured. Simply delicious!